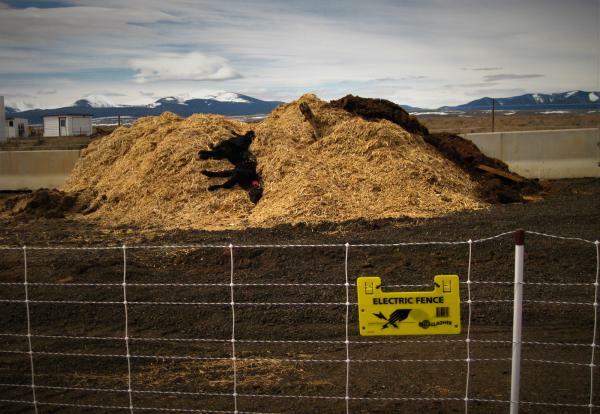 Livestock carcass composting site outside Wisdom, MT. When big predators like that figure out that they can scavenge on ranches, they learn to hang around, and potentially become bold enough to go after live animals. In the Big Hole Valley, which is surrounded by wild country between Yellowstone National Park and central Idaho, ranchers and conservationists are working together to try to solve that problem. On a sunny day in May, Western bluebirds chirp and swoop across the valley’s patchwork of sagebrush, hayfields and green pastures. The horizon is rimmed by snow-capped mountains and blue skies. I meet rancher Jim Hagenbarth near the town of Wisdom. His family has been ranching in Montana since the Homestead Act. He says until recently, predators weren’t a problem. Ranchers could simply let carcasses decompose on the landscape or in “dead pits” on their land. "We used to use a very tough poison called 1080, and there were no predators. And that was taken away from us and probably should have," says Hagenbarth. One reason the poison was taken away was because, in the mid-1990s, wolves were reintroduced to wild lands on either side of the Big Hole, and protected by the Endangered Species Act. "Since then, the number of all predators has increased to the point where they have a lot of impact on wildlife and our way of life," he says. The predators include federally-protected grizzly bears, which are starting to roam outside the Greater Yellowstone area. Last year, wolves killed over 50 livestock in Montana. That may not sound like many, considering that there are 2.5 cows for every person in Montana, and about 500 wolves in the state. But ranchers like Hagenbarth argue that even when predators don’t kill livestock, the presence of wolves on ranches has had a big impact on livestock behavior. "If a wolf is bothering them, they immediately bunch up, and bawl, and they’re not doing what they’re supposed to be doing," says Hagenbarth. "They’re not putting on weight." He says they’re also more likely to get sick and have trouble breeding with the added stress, and that costs ranchers money. In 2004, as reintroduced wolf populations grew and stabilized, ranchers in the area were given permission to legally kill wolves that threatened their livestock. But Dean Peterson, a fourth generation rancher from the valley, says they were still under intense scrutiny when they did that. “A week after that came into play, I had two wolves chasing cattle 200 yards from my house, and I shot one of them," Peterson says. He reported it to the U.S. Fish and Wildlife Service, like he was supposed to, and said he was interviewed by five wardens. "And for a while I wondered if I did the right thing," says Peterson. "At times it felt like you were getting interrogated. You looked around for the bright light to be shining in your eye." Peterson says it was the first wolf shot in Montana under the new rule. "But in the end, it turned out I did what was according to the law," he says. "And somebody had to test those laws to see where everything was going to fall, and it made it easier for people after that that had wolves harassing cattle to deal with that." In 2011, Congress ultimately delisted wolves from the Endangered Species Act, and ranchers now face less scrutiny if they kill wolves near their livestock. But in the Big Hole, ranchers and conservationists are trying to change behaviors so that livestock owners don’t feel the need to shoot them. Nathan Lance is a wolf management specialist with Montana Fish, Wildlife and Parks. "When you look at carnivore conflict, it is a learned behavior, especially with wolves," says Lance. "There is a need for lethal removal at times to change a behavior — and that's more of a reactive approach." But Lance says there’s also a proactive approach — like using range riders, electric fences, flags, and guard dogs — to reduce conflict with carnivores and protect livestock. One of the newest tactics in the Big Hole is to help ranchers get dead livestock off of their properties before they attract predators. "If I lose a cow at my house, I can have bears on it and especially wolves on it," Peterson says. "I don't need them around my cattle. I would prefer they stayed away, so if I remove the carcass, that's one more thing I can do to keep them out of my cattle. You know, there's a temptation there." So Peterson and other ranchers have cooperated with local, state and federal agencies to designate one location where dead livestock can be safely composted. "All the dead pits on the ranches are a smorgasbord that promotes populations of predators," says Hagenbarth. "And if we can clean that up and make those predators go back to work, then we can make them honest." 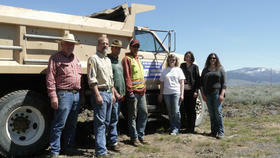 The composting location is here, on Montana Department of Transportation land outside Wisdom. We’re standing next to several large compost piles covered in wood chips and straw. The swarm of flies and faint smell of decay are a tip-off that there’s something rotting under there. "With the reintroduction of these these large predators, we have to live with it, and this compost site one thing allows us to live with them," Hagenbarth says. 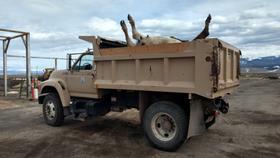 From March to May — the calving season — ranchers simply make a phone call to have carcasses hauled away free-of-charge. The collective effort was organized by the Big Hole Watershed Committee, a group of ranchers, fishermen, conservationists and government agency folks who have been tackling challenges in this valley for the last 22 years. Hagenbarth, who’s one of the watershed board members, says ranchers, carnivores, and the public need a re-education if they’re all going to co-exist in this valley. "We have to educate the rancher to become more studious in regards to managing predators," he says. "We have to educate the predator to stay away from areas where they can cause problems. And we also educate the general public. They're the ones that want the large predators, and they brought them back. But they don't have to live with them." 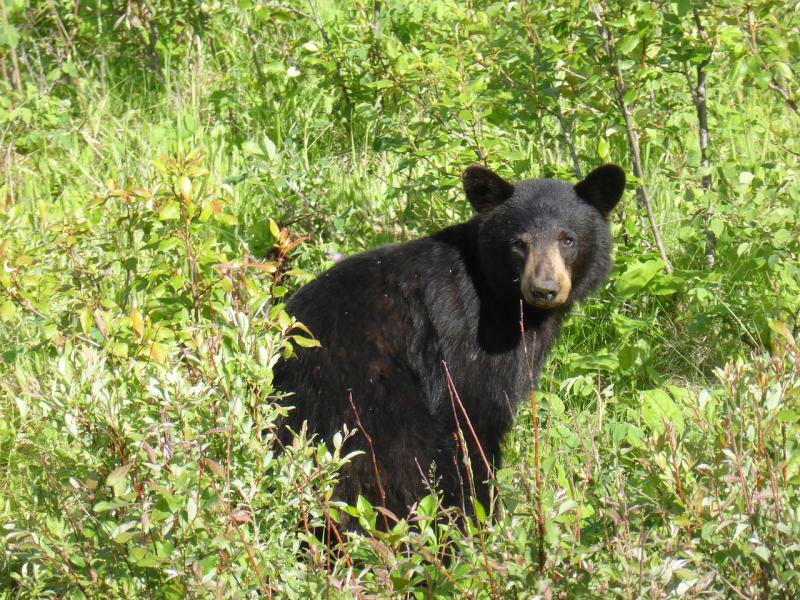 Ranchers in the Big Hole Valley have been learning to live with black bears and wolves. Now, it looks like grizzly bears are becoming part of the equation as well. 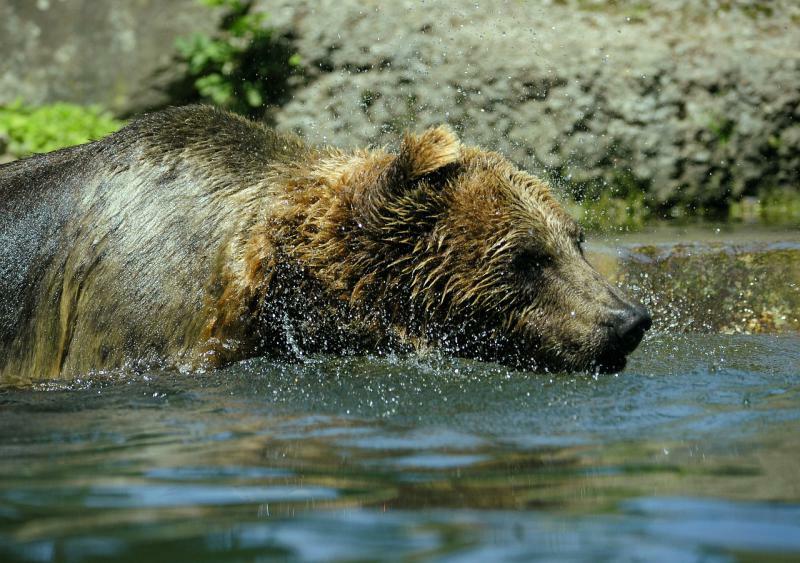 Last summer was the first confirmed grizzly sighting in the Valley in nearly a century. As anyone who's read Winnie the Pooh will tell you, bears love honey. But in Montana, that love of honey and hives comes at a cost. Every year, a handful of black bears are shot and killed by beekeepers across the state. And while it’s perfectly legal, some think the law needs an update. U.S. Interior Secretary Ryan Zinke signed an order to review federal efforts to conserve imperiled sage grouse populations across 11 western states. The action taken late yesterday. The order is meant to improve sage grouse conservation and collaboration between the federal government, states and local communities. 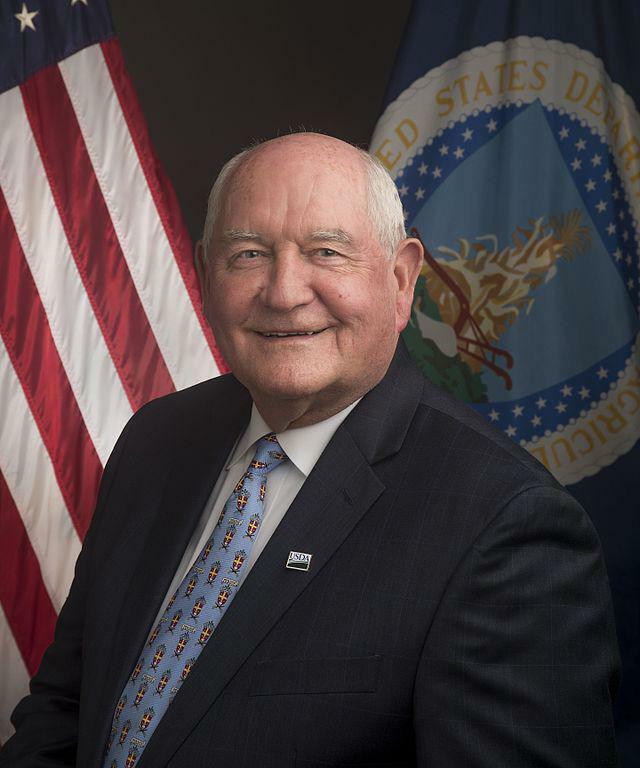 He told reporters during a conference call he has heard concern from some governors and residents that their suggestions are falling on deaf ears. A public discussion is scheduled Saturday, May 14, 2016, in Billings to discuss the fate of grizzly bears that live in the Greater Yellowstone ecosystem. Journalist Todd Wilkinson from Bozeman and grizzly bear biologist Dr. David Mattson will present a slide show and talk about the grizzly in the environment. Wilkinson is the author of the book on one of the most famous grizzly sows of the Greater Yellowstone, 399.